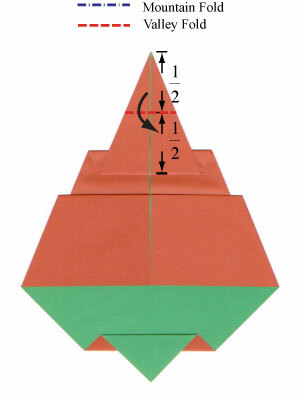 Apply two horizontal valley-folds of the step #8. Prepare to apply two horizontal valley-folds. 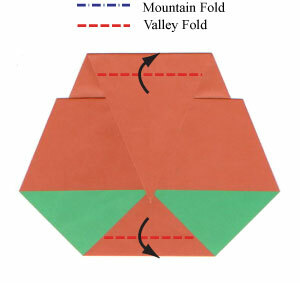 Apply two horizontal valley-folds of the step #9.